Mini Rippers Trails is the progression between Mini Rippers and The Rippers. Your Mini Ripper is off their training wheels and wants to shred the trails of The Shore!! 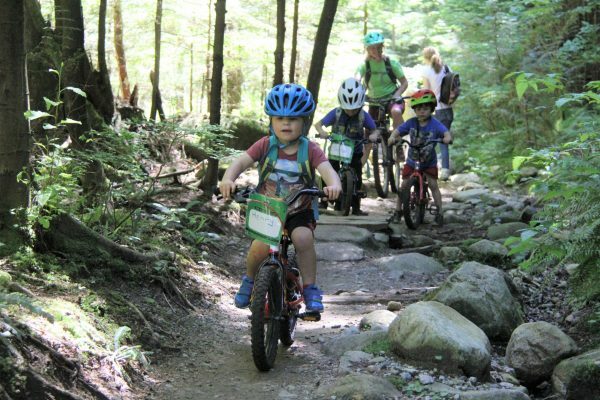 This camp explores trails in the local parks in Lynn Valley and the Demonstration Forest. Riders must have the ability to start and stop on their own, ride in control and feel comfortable pushing their bike, if necessary. The not so obvious: spare tube, snack (no nuts please) and water in a backpack. Your rider will be shredding in all weather, please dress accordingly. © 2019 ESC (Escape 2009) Adventures Inc.Site Map - All Rights Reserved.